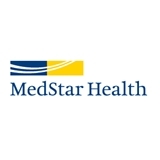 MedStar Harbor Hospital - Women's Health (Baltimore) - Book Appointment Online! She was great! Very helpful and personable. She was great and made feel comfortable. Very easy to talk to and very knowledgeable.